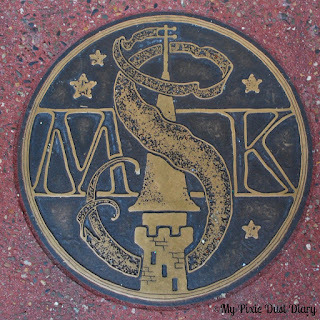 We're visiting everyone's happy place today, Walt Disney World's Magic Kingdom, with my friend Lynn of My Pixie Dust Diary. Lynn is a mom of 3, two pirates and one princess, who shares her Pixie Dust filled adventures on her blog, and she goes to Disney a LOT!! Be sure to stop by her blog, you will be glad you did! Now on to Lynn's Pixie Dust filled day at Magic Kingdom. For us, a typical day in the parks starts bright and early. My kiddos are all up between 5:00 and 6:00 every morning regardless of how late we were in the parks the night before. That means we almost always make rope drop in the parks and my favorite rope drop is at the Magic Kingdom. Seeing the show and all the characters arrive on the train is such a magical feeling. Watching my little princess wave at the characters brings a tear to my eye every single time. We start our day one of two ways - either eat breakfast in the room or on the way to the park or by heading to an Advanced Dining Reservation (ADR). Grabbing a reservation inside the Magic Kingdom (or any of the parks) before they're officially open to guests is a very unique experience. Standing on Main Street, U.S.A. without the crowds is such a peaceful experience just enjoy the beauty in the details. Early ADRs do mean that you miss the rope drop show but it's worth it every now and again. We love eating at Crystal Palace to enjoy the yummy food and get to see some of our favorite characters at the same time. Once the park's open, we hit the "must do" rides for our family that will get a line quickly. My little princess loves to fly with Dumbo and go Under the Sea with Ariel so we head back to New Fantasyland and Storybook Circus. From there, it's some attractions for my boys like Big Thunder Mountain Railroad or Splash Mountain. After we get those done we can hit attractions that are quick loading and don't have much of a line like Prince Charming's Regal Carousel, it's a small world and Mickey's Philharmagic. Lunch time usually brings choices for us. Many times we bring food with us because we drive and have the room to do that in the car. If we don't bring food, we grab a Quick Service meal to enjoy some air conditioning and just people watching for a bit. Cosmic Ray's is a great place to sit near the windows to watch the crowds while you enjoy your meal. The portions here are pretty good and meals can be shared to help your budget as well. After lunch it's choices again. 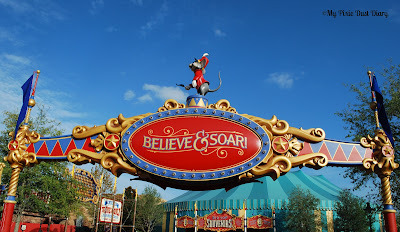 Do we need to head back to the resort for a rest or keep going? Many times we do go back for a rest, escaping the mid-day heat and crowds while refreshing ourselves for the evening ahead. When we don't leave to rest, we head to attractions that give a break within the park like Carousel of Progress and Tomorrowland Transit Authority PeopleMover. Dinner in the parks is usually a Quick Service location. My kids love visiting Pinocchio's Village Haus and sitting by the window to wave at the people riding it's a small world. We don't usually have a large dinner so that we can enjoy a midnight snack before we head back to our room for the night. Another thing we do in the evenings is play Sorcerers of the Magic Kingdom. The kids love collecting the different cards and defeating the villains. I love the feel of the Magic Kingdom at night. It's so different than visiting during the day. FastPass+ choices are almost essential for visiting a park in the evening and avoiding long lines. Because we only get three per park per day, our first choice is always Seven Dwarfs Mine Train. The other two choices can vary. Viewing for the evening parade and fireworks is in a good location and not having to camp out for hours to have a spot is another bonus. When watching the parade and fireworks isn't part of the plan, it's magical to ride Big Thunder Mountain Railroad during the fireworks. Then we'd use our last FastPass+ choice on The Jungle Cruise. Before heading out for the evening, our tradition is getting a picture in front of Cinderella Castle with it lit up. We do usually fill our days when we're visiting the parks. Yes we've got our favorites and "must do" attractions but we do try to make time for something new each visit as well. That's easy to do at Walt Disney World because things are always changing and being refurbished to improve experiences for the guests. Thanks so much Lynn! It has been so much fun following you around Magic Kingdom!! 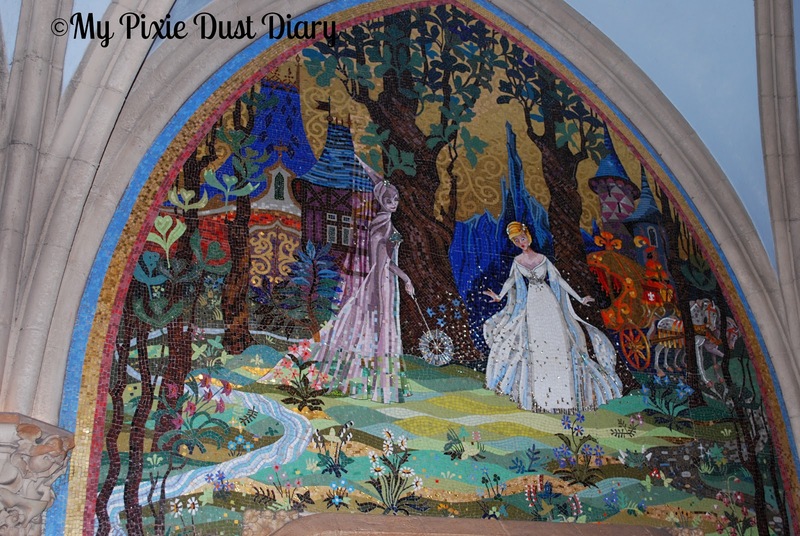 Be sure to visit My Pixie Dust Diary, and follow Lynn on Twitter, Facebook and Instagram for more Disney fun! !